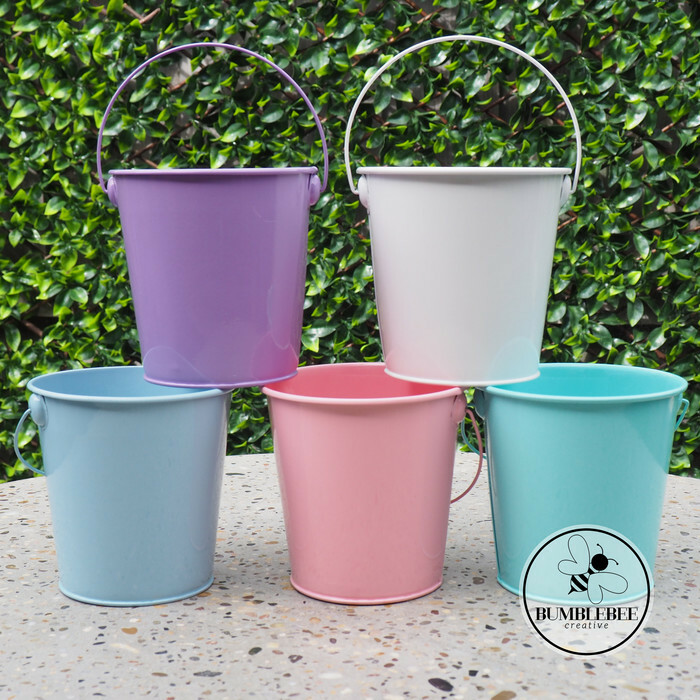 ONLY ONE BABY BLUE & ONE WHITE BUCKET LEFT ! Be easter egg hunt ready with one of these sweet metal bunny buckets. Buckets measure 12cm x 12cm. 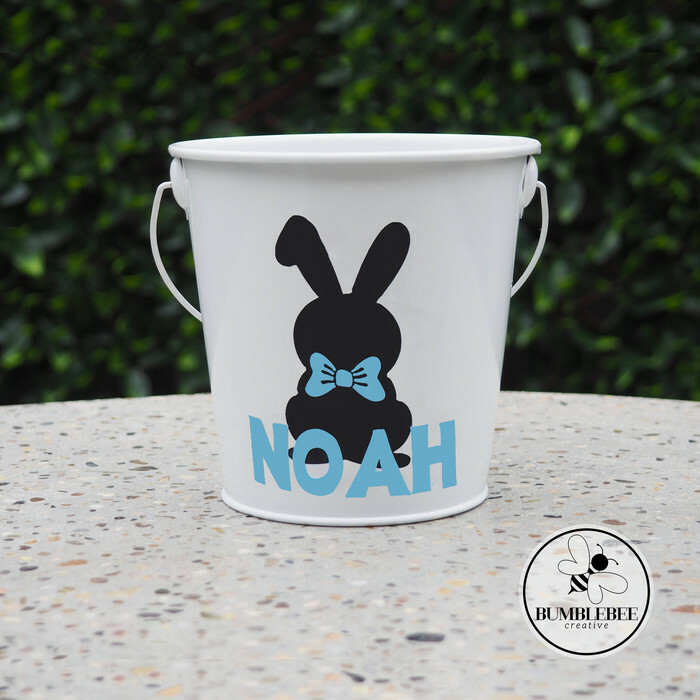 Customisation options include bucket colour, bunny sticker colour, name/bow tie colour and choice of font. When washing handwash only in warm water. Do not Soak. This is not Microwave or Dishwasher Safe. 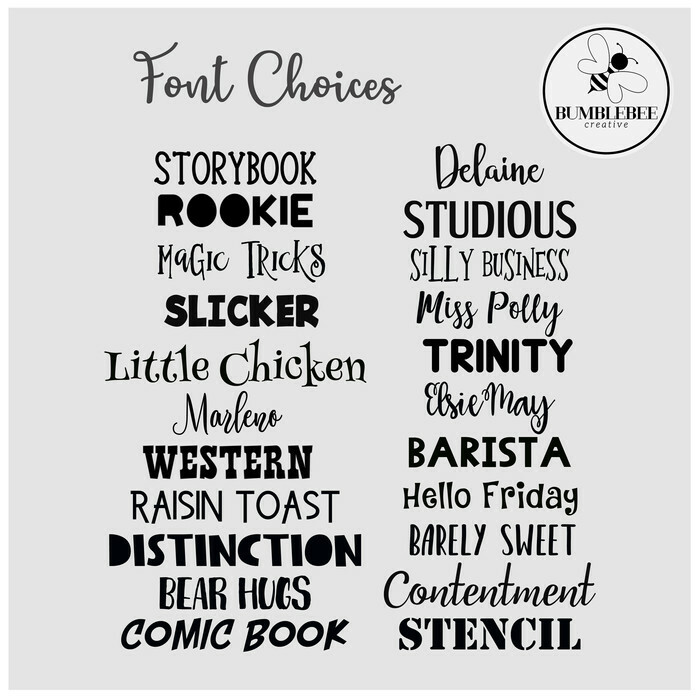 During checkout please make sure to include your colour and font choice and names with correct spelling as I will copy straight from your information. All designs are handmade and customised to each order and may not look identical to the photo. Hi, thank you for supporting my handmade business. 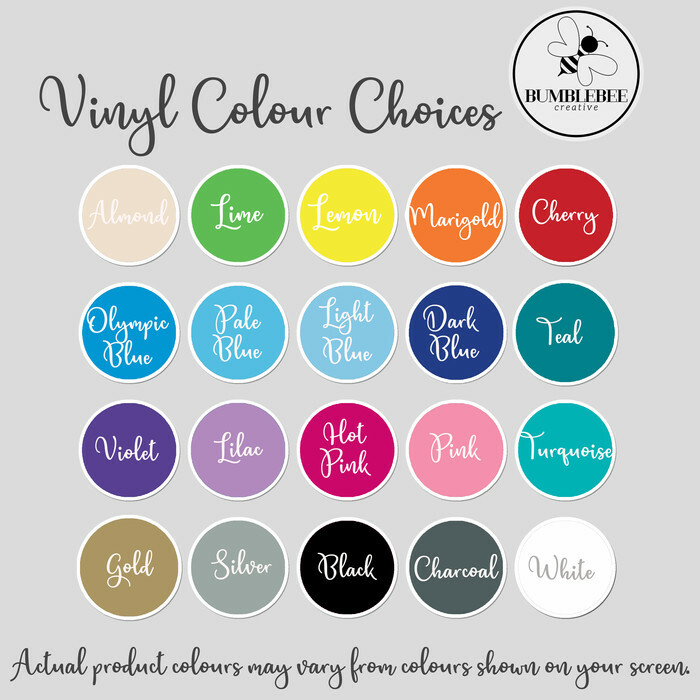 Please include custom order details, including name - with correct spelling, bucket colour, vinyl colours, & font choice. I will contact you once your order is completed and dispatched. Have a great day!